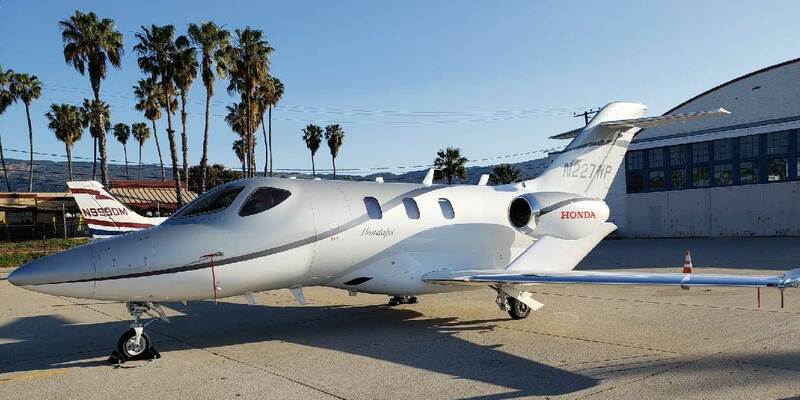 Federal agents in California on Wednesday morning seized a HondaJet belonging to high-profile attorney Michael Avenatti, as part of a grand jury indictment on a raft of fraud and tax offenses. The light twinjet, registered as N227WP to Newport Beach, California-based Passport 420, was seized at California’s Santa Barbara Municipal Airport under warrant from a federal judge and was then flown to a government contractor's aircraft storage area in Chino, according to a U.S. Department of Justice spokesman. The indictment states in part that Avenatti defrauded a client who received a $3 million settlement, taking $2.5 million for himself and using it to purchase a portion of the 2016 aircraft, while falsely telling his client that the settlement called for monthly payments over eight years. Avenatti allegedly made several payments in the name of the payer of the settlement, but soon stopped altogether.